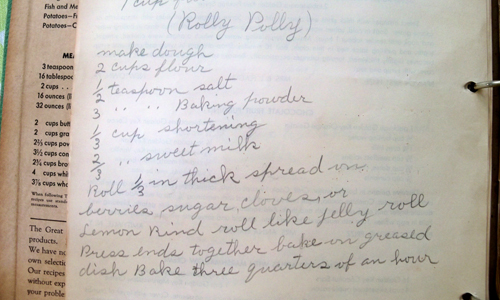 ... but what I really love are the handwritten recipes on the back of the pages. Who wouldn't want to try a Rolly Polly, Fat Cake or Sugar Pie?! 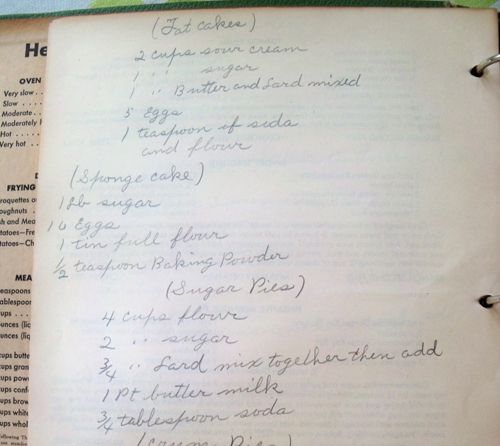 That recipe for Fat Cakes has only one teaspoon of flour, and 5 eggs! How does that even make cake? 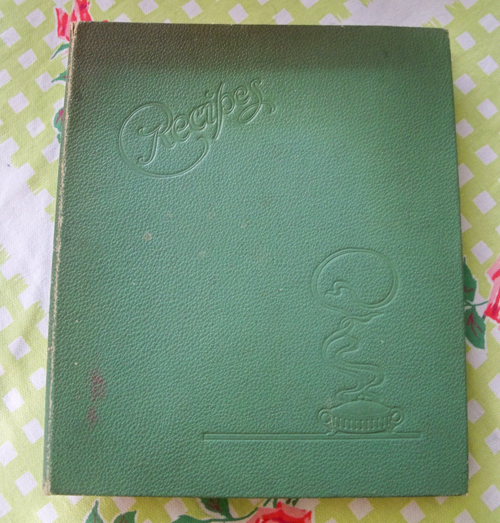 I love old cookbooks. My Mum has one with really vague directions like, "bake in a hot oven" and "make a fritter batter". I guess housewives of yesteryear knew how to do this stuff without extraneous instructions. Me, I need details.